Botanica received the SSAC 2013 Farbush Color Prize. Father’s Day Weekend is a significant time for me as there are a few events that I’m involved with and a great time of the year to be out and about. Firstly, it’s an honor and thrill for me to receive the Farbush Color Prize in the Members Show that will be on display at the South Shore Arts Festival from June 14-16, 2013. 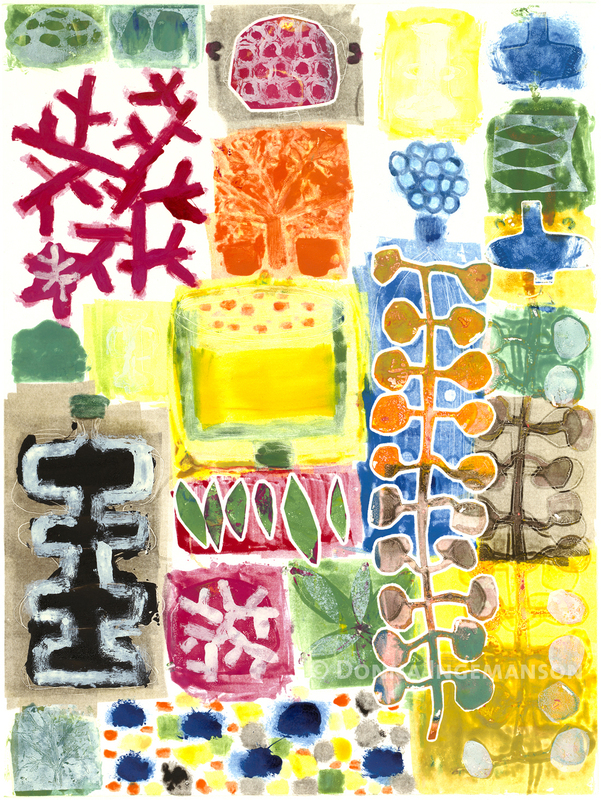 Another monotype entitled ‘Lunar Garden’ was selected for the Juried Exhibition. This festival is worth the trip as there is a wide variety of art, high-quality craft vendors and activities. 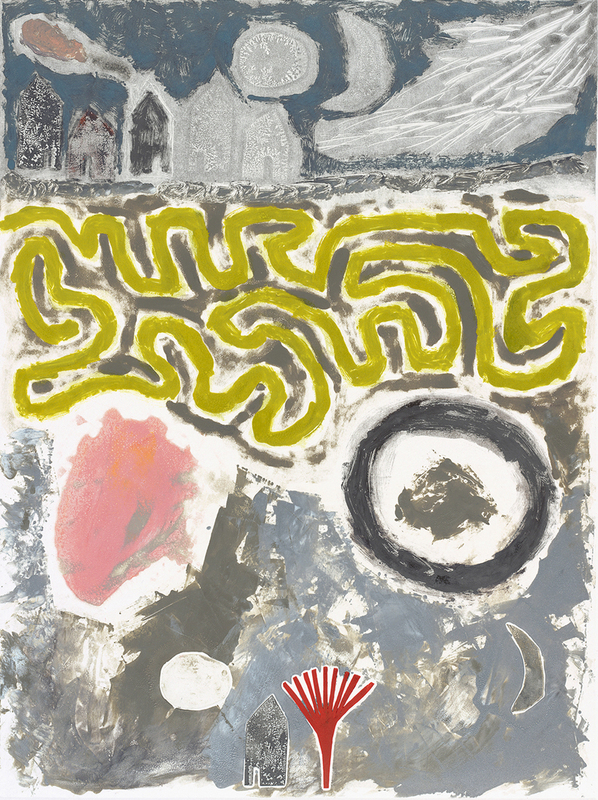 Monotype entitled ‘The Storm Blew the House to Houston’. is on display in the Crossen Gallery. While attending the Arts Festival make sure you make the trek to the South Shore Arts Center building to see the current SSAC Faculty Show and intriguing photographs by Robert Avakian. While there seek out the Crossen Gallery upstairs where two of my monotypes are on display in the ‘Under Pressure Printmaking Exhibit’. This is little hidden treasure of an exhibit that includes a wide variety of original prints that were created by artists working under the tutelage of Esther Maschio. You’ve heard of the ”Underground Artists’… well we’re the ‘Upstairs Artists’. Just run up the stairs and see what we’re all about-you won’t be disappointed as there is no better way to see original artwork than in person! One of my pet projects in also opening on Fathers Day Weekend and that’s the Braintree Farmers Market. This has been one of my most complex yet rewarding projects ever… There are so many facets to organizing a farmers’ market and it involves a whole community to make it happen. Join us as farmers and food artisans come together with their harvest of lush & delicious foods that are as inspiring to look at as eat and it’s good for your health too. 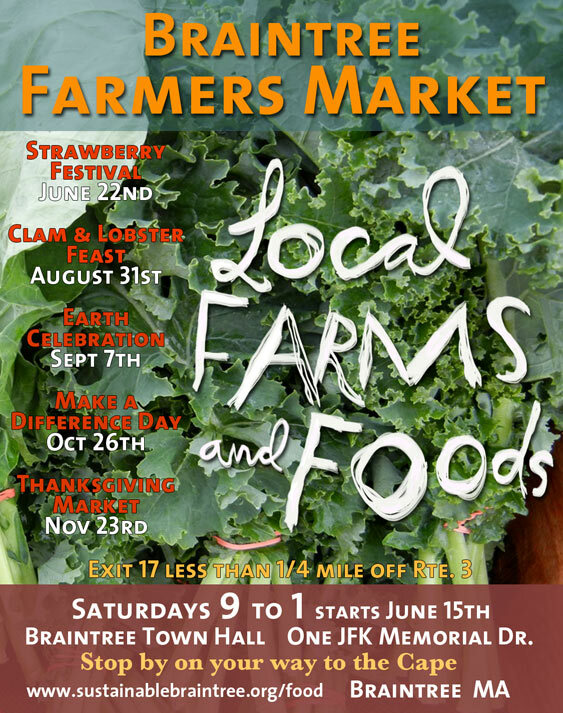 The market opens on Saturday, June 15th, and operates every Saturday from 9 to 1 at the Braintree Town Hall, One JFK Memorial Drive, Braintree, MA. Like us on facebook to get our updates. You are currently reading Out there…. at donna ingemanson studio.